On April 15, 2017, our chapter planted a pollinator garden at the Tahlequah Community Garden on the NSU campus. Wilma Baldridge (in red coat), chapter regent, waits with representatives of other organizations for turn to lay wreath in honor of all veterans. 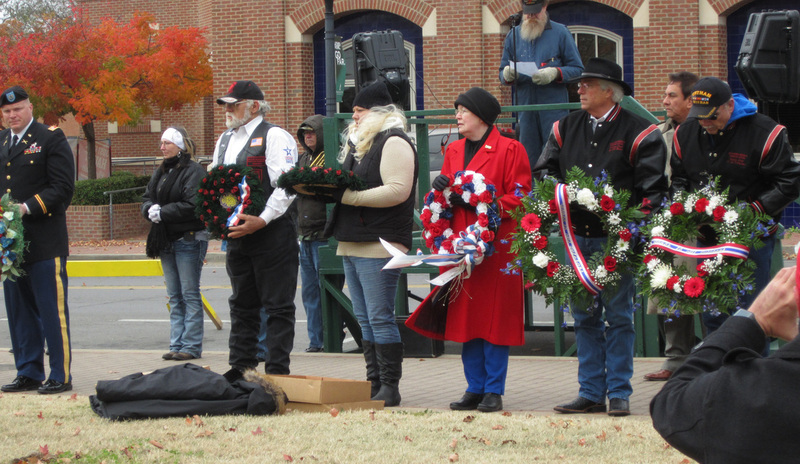 The wreath-laying ceremony precedes the Veterans Day Parade in Tahlequah each year. 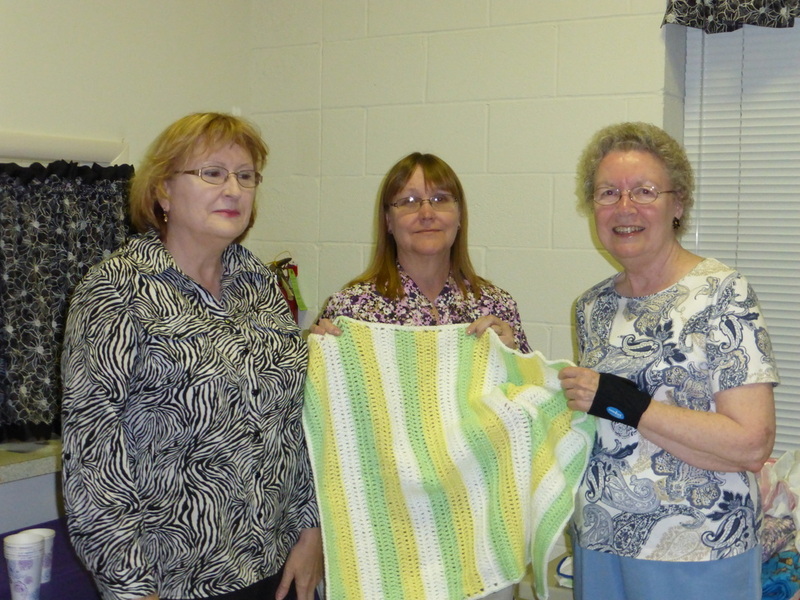 At the April meeting, baby items were accepted for the baby shower to be held for women veterans at the Jack C. Montgomery VA Medical Center in May. Left to right are Dr. Diane Johnston, National Defense committee chairman; Susie Eden, DAR Service for Veterans co-chairman, and Wilma Baldridge, chapter regent. 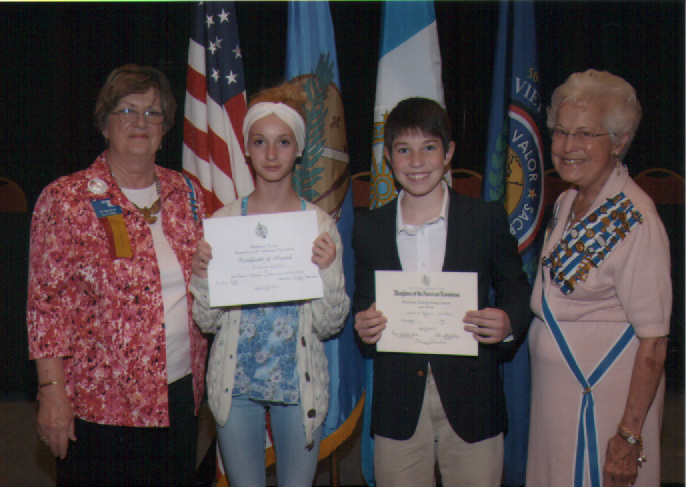 Winners of the Cherokee Capital American History contest pictured with Wilma Baldridge, chapter regent. 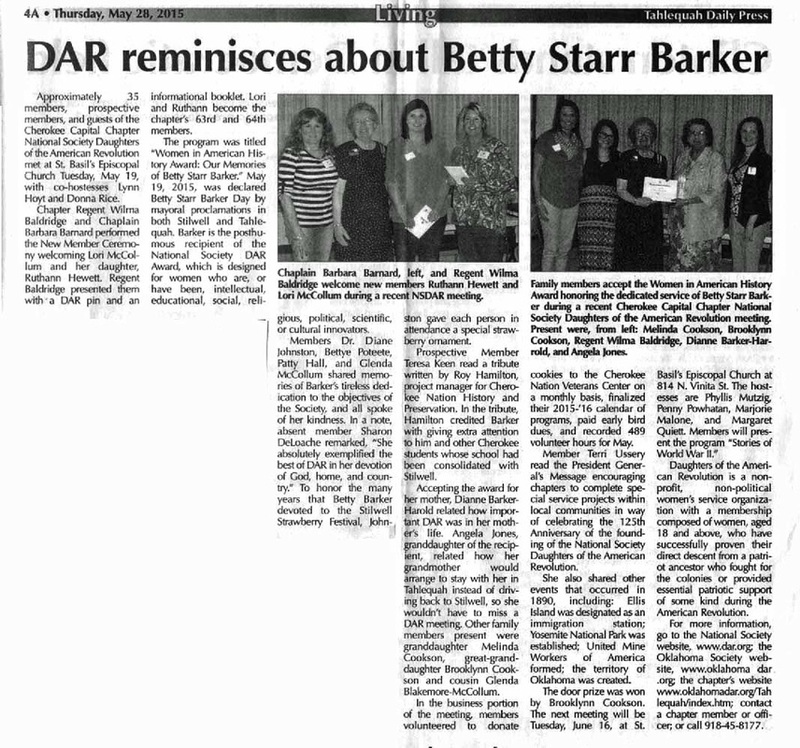 Our chapter members participate in state-wide DAR events. M. Sue Griffith Roth, American History Awards state chairman and Dr. Orriene First Denslow, Oklahoma state regent present American History awards. 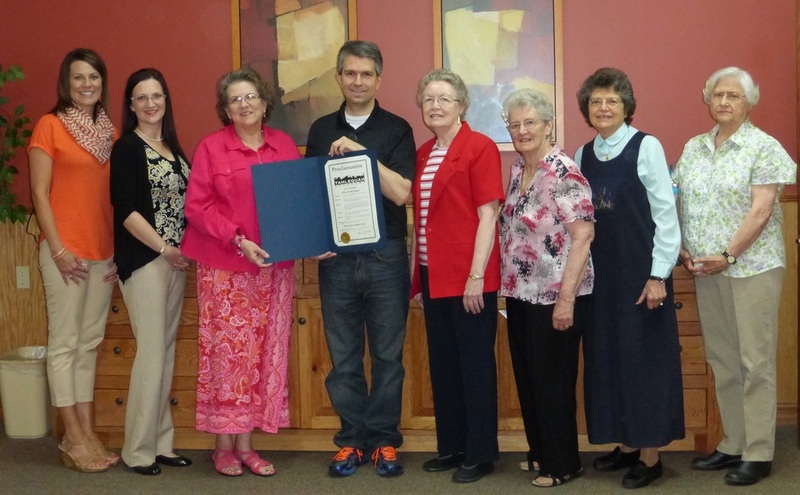 The Mayor of Tahlequah, Jason Nichols, proclaimed May 19, 2015, as Betty Starr Barker Day. 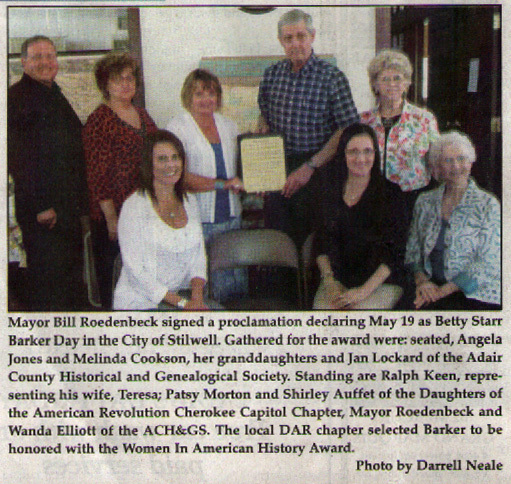 The proclamation was attended by Barker‘s family and representatives of the Cherokee Capital Chapter. With the mayor (left to right) are: Melinda Cookson and Angela Jones, Betty’s granddaughters; Diane Barker-Harrold, her daughter; chapter regent Wilma Baldridge, and chapter members Lynn Hoyt, Donna Rice, and Jo Ellen Rogers, chapter historian.